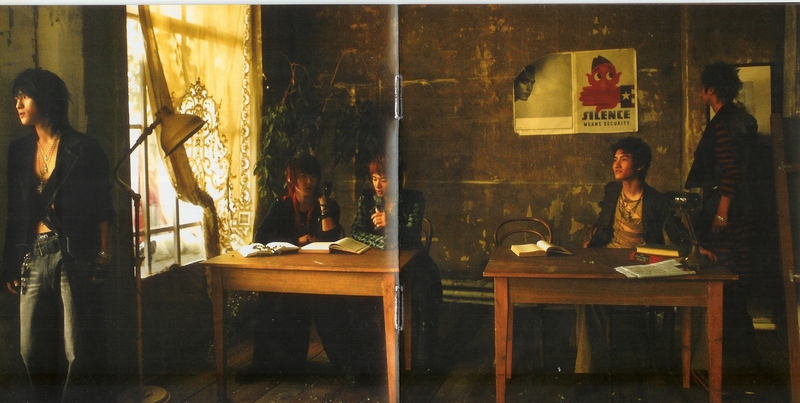 anyway, i scanned this myself from my rising sun album, this is the next two pages [pg 7 & 8] of the booklet inside featuring DBSK members, ina room. i really love how they composed the booklet shots. they are teh awesome. thanks!